The crude oil price collapse has forced some Canadian oil service companies to cut their workforces, budgets, and salaries, as their energy-producing customers have been struggling with their own budget cuts and market uncertainty. 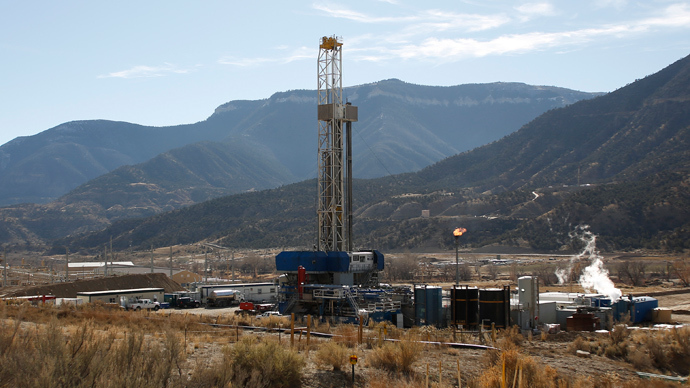 Calfrac Well Services Ltd. and Trican Well Service Ltd., both based out of Calgary, are two of the most recent examples of companies showing signs of a struggle amid a slowdown in drilling activity across North America. Oilfield services and hydraulic fracturing company Calfrac announced on Wednesday that it will cut over $25 million from its general and administrative costs, as it released its fourth quarter revenue report. The firm will be slashing executive salaries by around 10 percent and directors’ pay by 20 percent starting in April. Calfrac was also forced to shut down its operations in Colombia. "As a result of the decline in crude oil prices, the company's customers in Canada and the United States have lowered their 2015 capital budgets in the order of 20 to 40 per cent from 2014," Calfrac's president and chief executive, Fernando Aguilar, told analysts. The biggest concern is how cheaper crude will impact equipment utilization and pricing in 2015. “Customers are taking a cautious approach until there is more certainty as to when oil prices will recover,” Aguilar added. One of Calfrac’s biggest competitors, Trican, announced similar cuts – including slashing salaries and costs – after cutting 600 positions. All Canadian and US employees will receive a 10 percent cut in average compensation, according to the firm’s press release. Oil prices have plummeted by at least 50 percent since the summer. The situation was made worse when the Organization of Petroleum Exporting Countries (OPEC) opted not to cut its daily output levels in November. In reaction to new oil price projections, the Bank of Canada (BoC) unexpectedly cut its interest rate to 0.75% in January, with markets pricing in another rate cut in March. The central bank also lowered its economic growth and inflation forecasts, warning of widespread negative effects of lower oil prices on the Canadian economy. Just last week, BoC Deputy Governor Agathe Cote stressed the significance of the oil-price shock. "This shock will delay the economy’s return to full capacity by undermining both investment in the oil sector and gross domestic income," she said, noting that personal wealth is likely to be reduced and interprovincial trade affected.